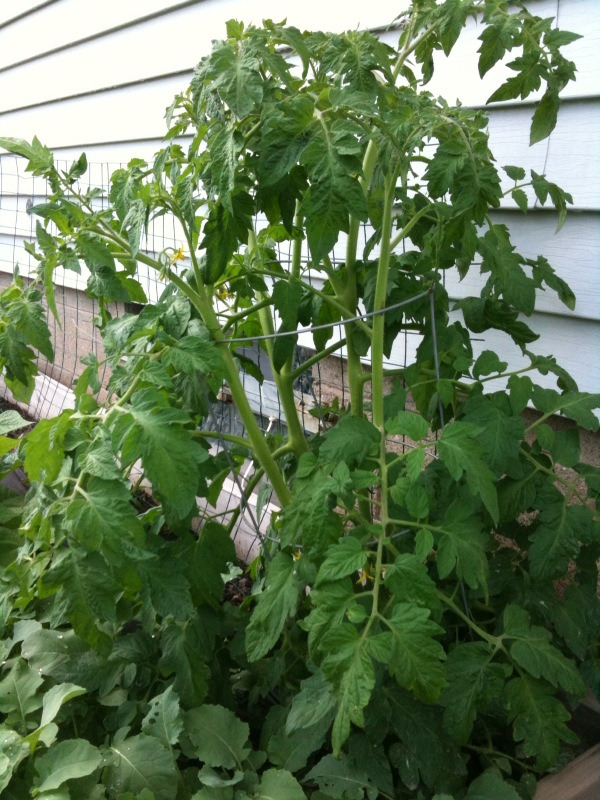 This is my tomato plant for 2009. I get one each year. And then I proceed to name them. I’ve had a Fransicso, Jose, and Pierre. I like to alternate through heritages. It makes me feel as though I’m more cultured and gives the allure that I take tea and biscuits everyday in the sitting room. I really just like to name things though. I’ve never quite figured out why, but I feel as though inanimate objects become more life-like if they possess a human name. Kinda like…transformers in disguise. This year I could not come up with a name so I suggested Jon Doe. My husband added on the DoeMato and I laughed like a pre-pubescent little boy who had just learned about girl parts. From there it stuck. Normally, I plant my annual tomato in a special pot that I tend to individually, but the last few years I’ve ended up with tomatos that look shitfaced, so this year I gave up and dug a nice hole in the dirt for Jon. To my shock he sprouted faster than a college frat boy and has even outgrown his dancing cage. Perhaps the winter months where outdoor cats played poop and seek in my garden have done wonders for my plants. Now, can I slice you up a fresh tomato?